July being National Ice Cream Month, it seemed our patriotic duty this holiday weekend to keep the granita and ice cream experiments going. 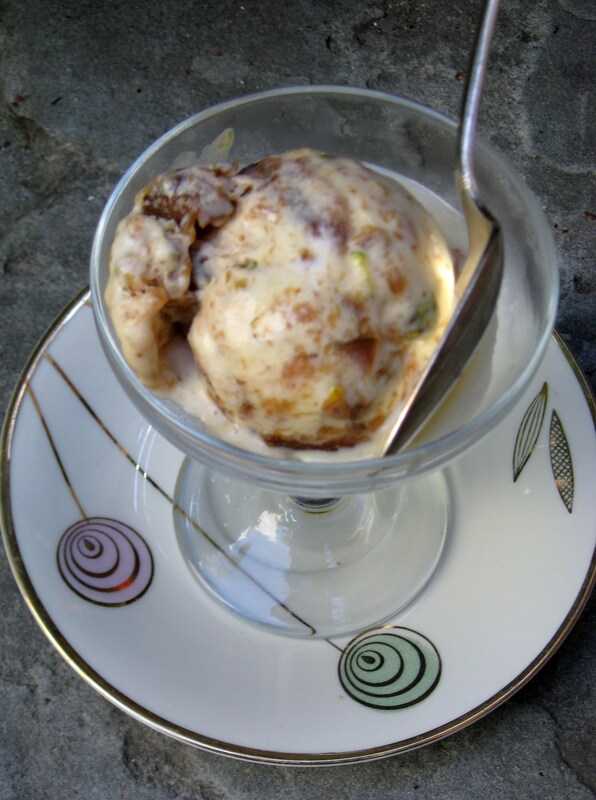 Next up, a honey-fig variety with toasted pistachios we’re calling The Little Figgy That Could Ice Cream. 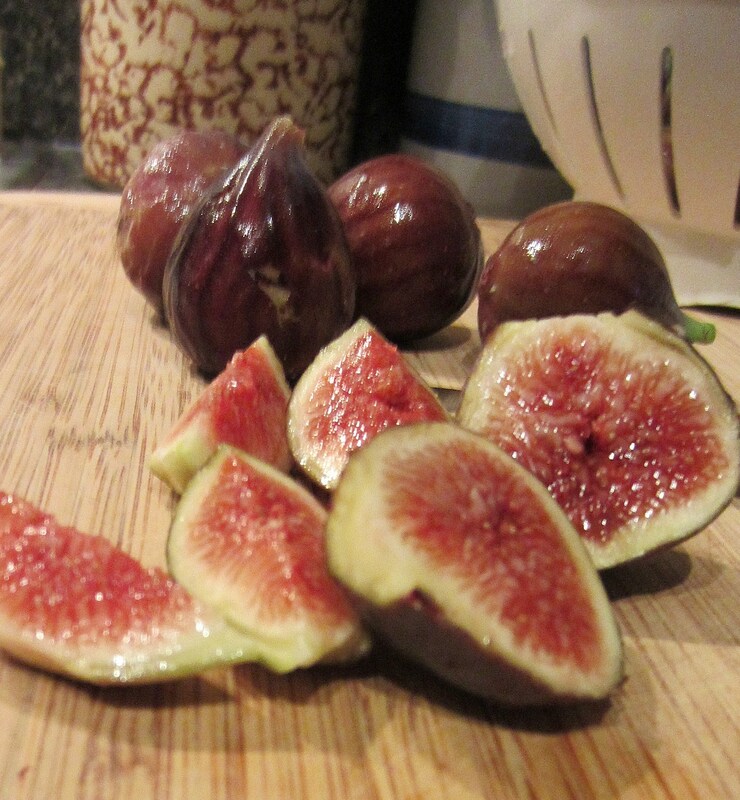 The main ingredient comes courtesy of the figs from the spunky little tree that grows in my Brooklyn neighbor’s backyard. The last of the 2012 crop has been languishing in the freezer (fresh figs that have been washed and quartered keep well), waiting for the perfect moment. And here it is, using a recipe from Saveur magazine into which a handful of shelled, unsalted, and then toasted pistachios were folded. Bonus points: the fig jam that forms the fruit base, made by cooking down fresh figs with some honey, brown sugar, and a touch of cardamom in place of the cinnamon in the original, would made a wonderful spread to pair with soft cheeses. Previous Post Now That’s Iced Coffee!